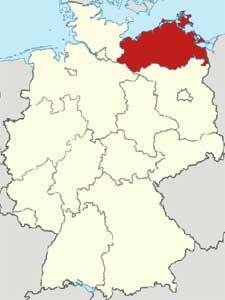 Mecklenburg-Vorpommern is a state in Germany located in the northern part of the country. The state has a long coastline on Baltic Sea and is known for beautiful beaches, cliffs, islands, National Parks (More than any other German state), holiday resorts and some historical landmarks. These all features make the state one of the leading tourist destinations in Germany. The state is ranked as 6th largest, in terms of area covered and 14th most populous German state. Human activities in the region date back to the end of Ice Age approx. 10,000 years ago. Some of the earliest known people were the “Germanic” people whom later migrated to the other regions. The region was again settled in the 6th century by “Polabian Slavs”. In the 12th century, the region was occupied by Henry the Lion and converted most of its population towards the Christianity. The state saw huge displacements during the wartime. First, when the Soviet forces were arriving, most of the people fled to get protected from the Soviet brutalities, later as the war ended, thousands of people arrived in the state from the former German territories. This increased the population of the state by 40%. The state remained under the Soviet administration until Germany got finally reunified. Afterward, the state modernized rapidly in every sector and is back on track. Rostock is the largest city of the state and Schwerin serves as its capital. Bordering states of Mecklenburg-Vorpommern include Brandenburg towards the South, Schleswig-Holstein towards the West, and Lower Saxony towards the Southwest. It also shares an International border with Poland towards the East. The geography and landscapes of the state are considered best in Germany. Main features include beautiful beaches, scenic landscapes, dense forests, and lakes. Most of the natural area is protected by the government to preserve their beauty. Furthermore, the state is divided into six districts. The state faced several economic issues after reunification as the state was under the governance of Soviet Union for a brief period of time. The industries that East Germany established were non-competitive as compared to the Western German industries. But today, the state’s economy is back on track with leading sectors of biotechnology, information technology, tourism, services, and maritime industry. Tourism is one of the leading industry of state and growing. Mecklenburg-Vorpommern has a rich history and has culture, traditions, and cuisine of its own different from the rest of Germany. The churches, cathedrals, palaces, and castles reflect the unique architect and designing of the state’s inhabitants and designers. There are over 2000 castles and palaces in the state. There are countless places of joy, enjoyment, exploration, and place of interest for people who are interspersed in history or German architect. The state is also home to two of the world oldest universities that were built as early as 16th century. Standard German is the primary language of the state. Approx. 80% of the state’s population is non-religious. Only 17.3% of people follow EKD Protestantism while only 3.3% are Roman Catholics (2010 stats). 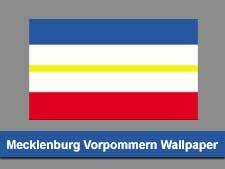 Similar to other German states, Mecklenburg-Vorpommern is also home to thousands of immigrants from other countries.